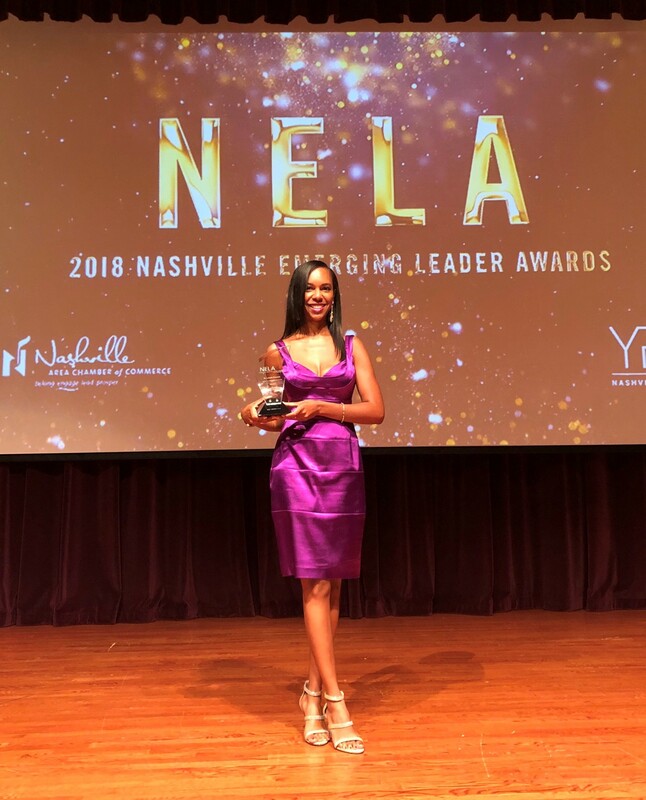 The Nashville Area Chamber of Commerce and YP Nashville on Thursday unveiled the 2018 winners of the Nashville Emerging Leader Awards, a program recognizing Middle Tennessee’s top young professionals under the age of 40. Associate Professor of Management Information Systems Dr. Lakisha Simmons was recognized as the winner of the “Education” category. A committee comprised of industry experts, community leaders and past NELA recipients within each industry selected finalists based on their level of professional achievement, demonstrated leadership and community impact. Simmons serves as associate professor of management information systems in Belmont’s Massey College of Business and is the EdTech founder of the Homework Suite App for students and The Achiever Academy, a leadership and mentoring program. Her research in data science and educational technology has resulted in more than 40 peer reviewed scholarly works. Prior to receiving her doctorate, Simmons held several positions with Caterpillar Financial Services including Six Sigma Black Belt and IT business analyst. She is a member of Delta Sigma Theta Sorority, faculty member of the PhD Project, member of the Honor Society of Phi Kappa Phi and Beta Gamma Sigma International Honor Society. During her free time, she mentors, trains and speaks to young women about tech careers, life and academic success strategies.